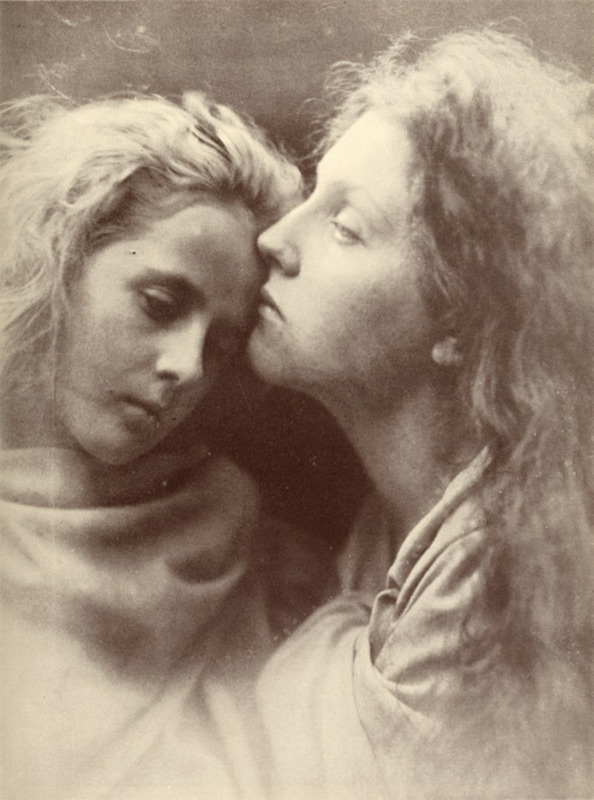 Julia Margaret Cameron, The Kiss of Peace, 1869, albumen print from wet-plate collodion negative, 12 3/4 x 9 1/2". With “For My Best Beloved Sister Mia: An Album of Photographs by Julia Margaret Cameron,” the Pittsburgh Frick organized this nineteenth-century photographer’s fecund practice around the contents of a mammoth tome containing works that the artist dedicated to her sister. The collection of seventy images includes photographs by Oscar Rejlander and Lewis Carroll and forty-seven taken by Cameron herself.